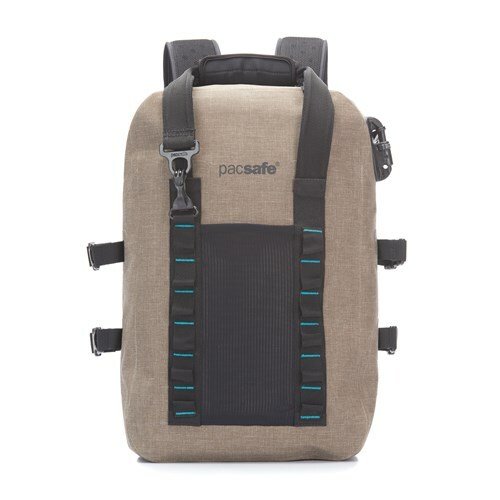 The Pacsafe Dry 25L is a backpack which protects your gear from theft and water. A laptop sleeve doubles as a divider for wet or dry gear. The external straps can hold things like fins, jackets, yoga-mats or sleeping bags. 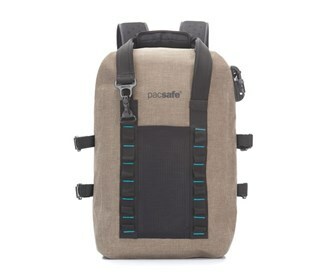 The Pacsafe Splashproof 25L - Sand has many exciting features for users of all types. You can extend the lifetime of your Pacsafe Splashproof 25L - Sand with the purchase of a FactoryOutletStore Factory Protection Plan. The Pacsafe Splashproof 25L - Sand is sold as a Brand New Unopened Item.